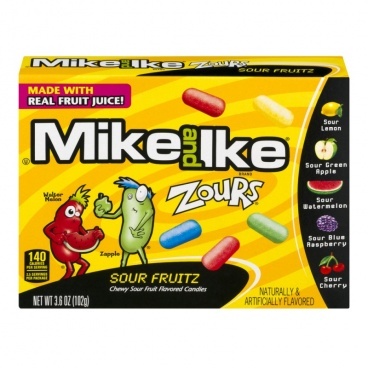 If you like your candy sweet with an unexpected sour zing, then you will love Zours. 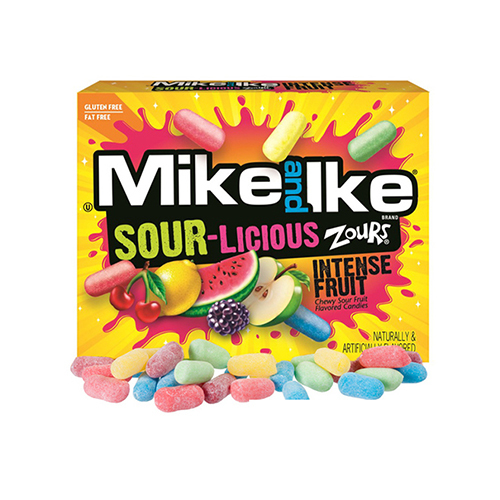 The candy mix includes the following eye-popping flavors: Sour Green Apple, Sour Blue Raspberry, Sour Watermelon, Sour Lemon, and Sour Cherry. 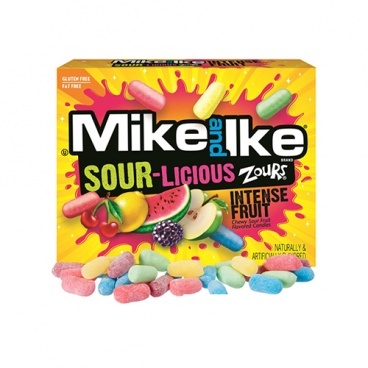 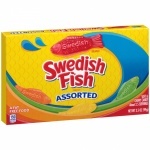 Ingredients: Sugar, Corn Syrup, Modified Food Starch, Fruit Juice from Concentrate (Pear, Orange, Strawberry, Cherry, Lime, Lemon), Fumaric Acid, contains less than 2% of the following: Gum Arabic, Sodium Citrate, Natural and Artificial Flavors, Dextrin, Artificial Color, Yellow #5 (Tartrazine), Blue #1, Blue #1 Lake, Red #40, Yellow #6.